Nineteen-year-old Youssef El-Mekki grew up in a one-room home with his mother down the stinking alleys of Casablanca. He’s always dreamed of escape and then one day, when the father he presumed was dead turns out to be very much alive and very wealthy, Youssef is whisked away from the slums to the luxurious life of Casablanca’s elite. But as he leaves the poverty of his childhood behind, he finds some harsh truths and difficulties he must face. 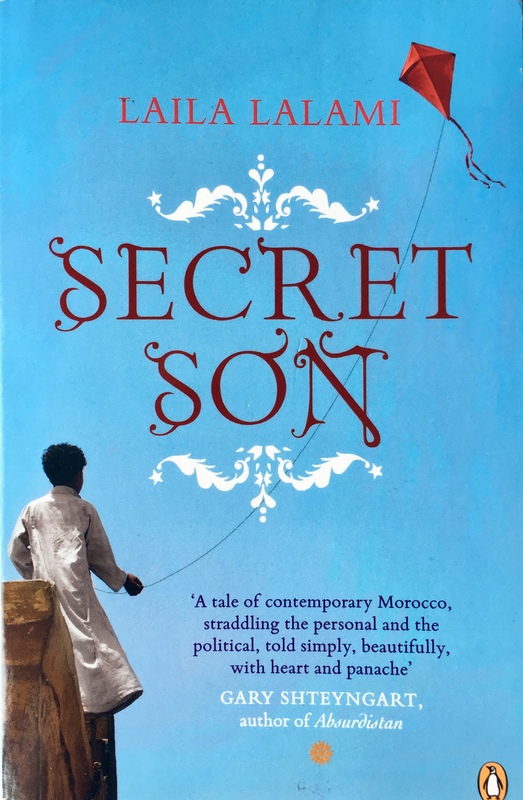 Secret Son is a traditional coming of age story as Youssef grows a lot as a person as he explores who he is and where he’s come from. Once he finds out about his father, Youssef is quick to leave all he’s known to live what he feels is a better life. He leaves his mother and his friends and moves to a new apartment where every one of his whims are catered for as his father promises him many new things. While Youssef can be criticised for dumping those who had card about him for so long, chapters or passages from other characters points of view show how the people surrounding him, including his mother and his friends, have lied to him many times. Whereas his mother wants Youssef to get a good education and go to university to better himself, he lacks the drive or ambition to do that. especially once he learns who his father is. Once Youssef and his father get to know one another, Youssef doesn’t see the point of studying as his father can just get him a good job on his word alone. Once again proving the phrase, it’s not what you know, it’s who you know. Youssef is very naïve really. He’s dreamed of a better life for so long that when he gets that opportunity, he never questions what it might cost him. Secret Son has a good mix of personal and political drama and it takes the time to examine how the two can overlap. Youssef is Muslim and as he grows up in the slums, he becomes aware of a political party that make a lot of promises to the people who live there. At first, they seem to be a force for good but as time goes on corruption is clear on both sides of the political spectrum. When Yousef’s friends begin to work for the party, Youssef gets tangled up in plans bigger than himself. Another major aspect of Secret Son is the class divide. Youssef might go from the slums to a penthouse, but he never really fits in with the rich life, and when he visits his mother and friends, he no longer fits there either. The sad thing is that Youssef doesn’t seem to notice how after experiencing his father’s wealth, he no longer fits in either class. The novel definitely doesn’t shy away from the realities of Casablanca and how peoples lives are so different to one another even when they live just a few streets apart. Secret Son is a very engaging and easy to read book. 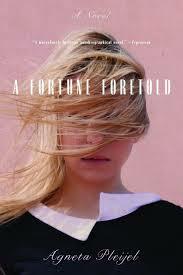 The writing is simple yet never juvenile and Youssef makes a frustrating, complicated and interesting main character. 4/5. A nameless woman tries to follow her calling as a doctor but then the state steps in. 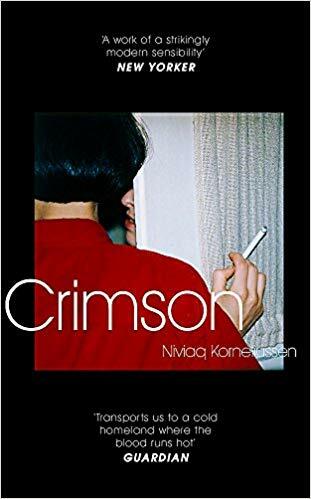 She, along with her daughter, are banished to a village in the Latvian countryside where she’s deprived of a career, her sense of self, and her relationship with her daughter. As her sense of isolation increases, will she and her daughter be able to return to Riga where the beginning of political change begins to stir? 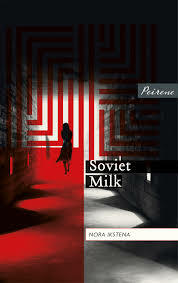 Soviet Milk is told from the alternating perspectives of an unnamed mother and her unnamed daughter between the years 1969 and 1989. During this time Latvia was a part of the Soviet Union and it’s clear from the outset how the state keeps a close eye on its people and the affect it can have on their lives. The alternating perspectives did through me a bit at the beginning as I didn’t realise that’s what was happening but as some of the passages were told from the two characters different points of view, I got the hang of it. I enjoyed both the mother and the daughter’s point of view. It basically begins when the daughter is born and so you see her grow up, how she learns different things from her mother, and how she begins to see the restrictions placed on her and her family. When she’s a young child she is brought up by her grandmother who is also unnamed (nearly all the characters are unnamed and are instead referred to by their familial status), their relationship is very sweet and the time she spends with her grandmother and step-grandfather are moments of true childhood innocence. After her mother’s medical career is dashed and they have to move away from the city and her grandparents, that’s when the daughter has to grow up as more often than not, she has to look after herself and her mother. Her mother’s struggles and depression are vividly realised, and the book is well-written enough that makes her actions sympathetic and not solely selfish as one might think. Soviet Milk was an interesting insight into the psychological affects of living in your homeland when it’s occupied by an outside force. Previous books that I’ve read for the Read the World Project that have been set in countries during the time of the Soviet Union, have either been from a child’s point of view so they don’t understand the gravity of the situation, or its about characters who have just got on with everything. I think this is the book I’ve read where being a part of the Soviet Union had a real affect on the mental health of one of the protagonists. 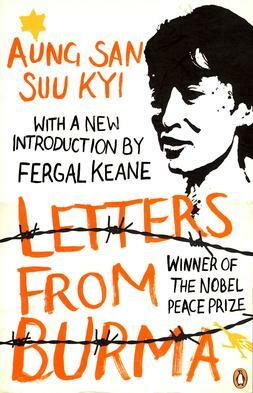 There was still the food shortages and secrets, but there was also the desperate need to be free which the mother had even when living in her own country. Soviet Milk is a moving and poignant story about the love between a mother, daughter and grandmother and how the Soviet occupation can affect multiple generations. It was a compelling read even though each perspective was just a couple of pages long. 4/5. Destroyed by German and Soviet armies in the war, Tiiana’s home city of Tartu in Estonia has a lot of secrets and she’s slowly unravelling them. The adult world is of cryptic and hushed conversations and Tiiana experience both great events like Stalin’s death, and personal events like the disintegration of her parent’s marriage from the periphery. Ultimately, she is powerless to prevent the great and defining tragedy of her life – the suicide of a loved one. I liked the way the story was told. Chapters (if they could really be called that) were often only a few pages long. They each began with a year and they’re like a little snapshot into that period of the characters’ lives, especially at the beginning when there weren’t many chapters set in the same year. As the story progressed and Tiiana got older, you spend more time with her in each year, seeing how her life changes in small and big ways. 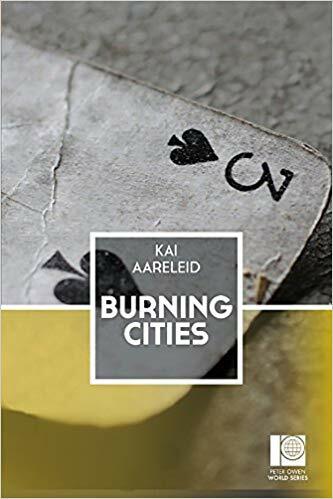 Burning Cities begins in 1941 when Tiiana’s parents Liisi and Peeter meet, after a few short chapters Tiiana is born in 1946 and then you follow her as she grows up to the year 1962. There are a few chapters set in the 1990s and 2010s throughout the book and as you’re never properly introduced to the narrator in those chapters, it takes a while to make the connections between them and Tiiana as a child. A lot of things to do with the Second World War or how it was in Estonia before the war doesn’t really register in Tiiana’s every day life, especially when she’s a child. She knows that other children and adults don’t like the Russians but she’s not sure why and when she becomes friends with a Russian boy from the school next door to hers, she questions whether her father’s uncertainties about the friendship is because he’s a boy or because he’s Russian. Tiiana is a well-written and believable child. She learns to observe people from a young age and is fascinated by books and how there’s apparently different eras that the adults talk about. She’s smart but also sheltered, because of her father’s job she never wants for anything unlike some of her fellow classmates. It’s the little things that make the city of Tartu a strong presence in the novel. It’s a place that’s being rebuilt but there’s so many parts of it that aren’t whole or are broken. This mirrors Tiiana’s parent’s relationship as they drift apart and attempt to hide things from Tiiana to no avail. As Tiiana gets older she becomes more outspoken but she’s still quiet young and naïve and, much like her parents, doesn’t talk about how she feels. Burning Cities is a story of family secrets and tragedy told, through the most part, through the eyes of a child. It’s a well-written story that often paints a vivid picture, but it still has a hazy quality to it as much of it feels like a memory with some events or people more solid than others. 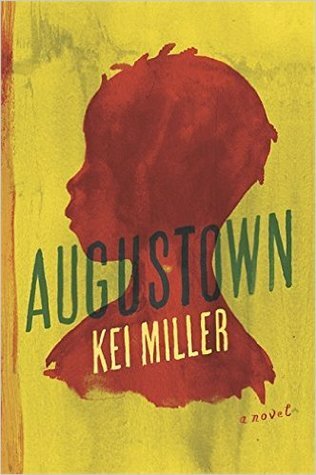 It’s a book that pulls you in from the very beginning, with interesting characters and a haunting writing style. 4/5.